Telehealth Law Handbook: A Practical Guide to Virtual Care will help you navigate the highly dynamic and state-law dependent practice of telehealth. Telehealth is changing relationships not only between physicians and patients, but also among providers, and between providers and payers. Telehealth Law Handbook: A Practical Guide to Virtual Care will help you navigate the highly dynamic and state-law dependent practice of telehealth. Telehealth is changing relationships not only between physicians and patients, but also among providers, and between providers and payers. As state and federal legislators and regulators take note of these changed relationships, the law is changing as well. 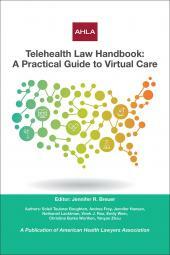 This book examines how the law impacts all manner of telehealth relationships. We trust you will find this book useful in developing your understanding of the complex rules surrounding this method of health care delivery. Jennifer R. Breuer (Editor) is a partner at Drinker Biddle & Reath. She is vice chair of Drinker Biddle's Health Care Group and co-chair of the firm's Women's Leadership Committee. She represents health care providers and suppliers in transactional, compliance and regulatory matters, with a focus on Stark Law and Anti-Kickback Statute compliance for hospital-physician relationships. Jen also advises on data strategy and privacy law compliance for electronic health records, health information exchanges and other technology platforms. She regularly assists in the development of compliance strategies for ehealth and telemedicine providers. Prior to attending law school, Jen worked as a strategy consultant to the worldwide pharmaceutical, biotechnology and medical device industries. Ms. Boughton earned her J.D. from UCLA Law School and her B.A. from Pomona College. Andrea Frey is an associate at Hooper, Lundy & Bookman, P.C. Her practice focuses on representing clients in the health care and life sciences industries in a wide range on transactional and regulatory matters. Andrea also regularly assists health care providers navigate requirements for patient privacy including HIPAA, patient medical records, electronic prescriptions, and information sharing between providers. Jennifer Hansen is a partner at Hooper, Lundy & Bookman, P.C. and the first chair of her firm's Medical Staff Work Group. Her practice includes representation of hospitals, medical staffs, post-acute care providers, pharmacies, and other health care providers and suppliers in a wide range of matters, including civil and administrative health care litigation, medical staff law, managed care litigation, licensing, reimbursement, long term care surveys and appeals, and other regulatory matters. She is currently the Social Media Chair for the Medical Staff, Credentialing, and Peer Review Practice Group for AHLA. Ms. Hansen is a past Co-Chair of the San Diego County Bar Association Law & Medicine Section and Lawyers Club Community Outreach Committee. Ms. Hansen earned her B.A. from the University of Wisconsin, Madison, with honors, and her J.D. from the University of Minnesota Law School. Nathaniel Lacktman is a partner and health care lawyer with the law firm Foley & Lardner LLP. He is the Chair of the firm's Telemedicine and Virtual Care Practice and Co-Chair of the firm's Digital Health Group. He advises hospitals, health care providers and technology companies on business arrangements, compliance, and corporate matters, with particular attention to telehealth, digital health, and health innovation. His approach to practicing law emphasizes strategic counseling, creative business modeling, and fresh approaches to realize clients’ ambitious and innovative goals. He serves on the Executive Committee of the American Telemedicine Association's Business & Finance Group, co-chairs the Telemedicine and eHealth Affinity Group of the American Health Lawyers Association, and serves as Chief Legal Counsel to the Telehealth Association of Florida. Mr. Lacktman speaks and writes frequently on issues at the forefront of telehealth, and has helped author telemedicine policy letters and position statements with such organizations as the American Telemedicine Association and the American Heart Association. He has provided comments, draft legislation, and policy input on telehealth to state lawmakers, the Drug Enforcement Agency, the Congressional Research Service, state Medicaid Agencies, and state boards of medicine. He has appeared in publications such as Modern Healthcare, Forbes, Fox News, Bloomberg, Reuters, Associated Press, Inside Counsel, Buzzfeed, Politico, and Information Week among others. 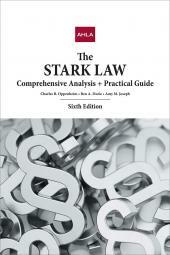 He is a graduate of the University of Southern California School of Law and the University of Florida. Vivek J. Rao is a member of Pierce Atwood's Business and Intellectual Property practice groups. He focuses on technology and intellectual property transactions, the protection and enforcement of trademark and other intellectual property rights, and data privacy and security matters, including advising health care clients regarding HIPAA and other privacy and security issues. Before joining Pierce Atwood, Vivek maintained a litigation practice with Zuckerman Spaeder LLP in Washington, D.C.
Emily Wein is a principal in the Baker Ober Health Law Group of Baker Donelson. She advises on a wide spectrum of regulatory considerations affecting clients engaged in telemedicine whether they are the telemedicine service provider or telemedicine service recipient. Such issues include the federal fraud and abuse requirements (both anti-kickback and Stark law), HIPAA privacy, Medicare and Medicaid payment, medical staff credentialing, state licensure and corporate practice of medicine considerations. She also assists clients with their Medicare enrollment matters and health care facility licensure issues. She was previously Associate Counsel at a large interdisciplinary health system where assisted in the expansion of the organization’s telemedicine offerings as well as served as primary regulatory counsel in the area of fraud and abuse and HIPAA compliance. Christine Burke Worthen, Chair of Pierce Atwood's Healthcare Services Practice Group, focuses her practice on health care law and ERISA and employee benefits law. Christine guides health care organizations on managed care contracting, accountable care organizations, risk based contracting, network design, telemedicine, health privacy and security laws, (including HIPAA), and the 340b federal drug pricing program. Christine has experience in the transition from volume to value based reimbursement and provides counsel to health care organizations that participate in the Medicare Shared Savings Program, the Pioneer ACO Program, the Next Generation ACO Model, and risk arrangements with commercial payors. She also provides counsel to independent physician practices facing changing reimbursement models. Christine provides legal and strategic guidance on high performing clinically integrated network design and development as well as the integration and use of data necessary to succeed in value based reimbursement models. She also provides counsel to health care organizations in the design and implementation of telemedicine programs and guides on compliance with the various state and federal laws that impact telemedicine such as state licensure, scope of practice, reimbursement, privacy and security, fraud and abuse, and contracting. Christine also assists self-funded employers with health plan design and network development to promote value-based benefit designs. She drafts and guides on executive compensation plans, retirement plans, health and welfare benefit plans, and health care reform issues. Before joining Pierce Atwood, Christine was associate general counsel for Eastern Maine Healthcare Systems, where she provided guidance in all areas of health care law and ERISA/employee benefits issues. Yanyan Zhou is an associate at Hooper, Lundy & Bookman, P.C. She represents health care providers and suppliers in transactional, compliance and regulatory matters, with a focus on licensing, reimbursement and compliance. Yanyan also advises clients on professional scope of practice issues. Prior to law school, Yanyan worked in the pharmaceutical industry. Table 1.2  Physician-to-Physician Consultation Exceptions from Licensure Requirements.